FOR nearly two months now, Star Hotshots young guard Ronald Pascual has gone missing and no one has an idea where he is. Since last attending the Hotshots' practice on December 24, the sweet-shooting guard out of San Sebastian has not been in touch with the team as well as other people close to him. A Star insider bared that Pascual's last communication with the team happened last Christmas Day, a few hours before the team faced Barangay Ginebra in a do-or-die showdown which the Kings won. In his text to the management and the coaching staff, Pascual reportedly asked to be excused from the game because of an injury. He also told the coaches he was not feeling well. But three weeks into the team's buildup for the coming Commissioner's Cup, there has been no sign of Pascual in Star practices which is in dire need of warm bodies due to injuries to key players. When Spin.ph tried to dig deeper into his whereabouts, a source close to Pascual bared the Mexico, Pampanga native has been frustrated over his lack of playing time in his new team. "Sumama loob ni Ronald eh, kasi hindi man lang daw siya nagagamit. Ang ganda-ganda daw ng ipinapakita niya sa ensayo, pero hindi pa rin siya nabibigyan kahit katiting na playing time," said the insider. "Pero wala rin pala," he added. Unlike stablemates and former 'Pinatubo Trio' partners Calvin Abueva and Ian Sangalang, Pascual has yet to break out in the PBA after being picked in the first round at third overall by San Miguel in the 2014 draft. During his college days, Pascual was one of the deadliest three-point shooters and scorers in the NCAA, averaging 15.31 points, 5.55 rebounds, 2.57 assists in his two seasons with the Stags. He was also one of the most reliable scorers of Boyet Fernandez during the NLEX Road Warriors' dominant run in the PBA D-League where he averaged close to 17 points and six rebounds a game. So impressive was Pascual's performance in the amateur ranks that he was reportedly eyed by NLEX for its fouth overall pick until he was snatched a pick earlier by SMB. Pascual got buried deeper and deeper in the SMB bench during his rookie season and his playing time only shrunk at Star, where he played in just six of the team's eleven games last conference at an average of a measly 8.83 seconds. Star management has reportedly sought the help of Pascual's adviser, Atty Charlie Chua, in the hope of getting in touch with the player. 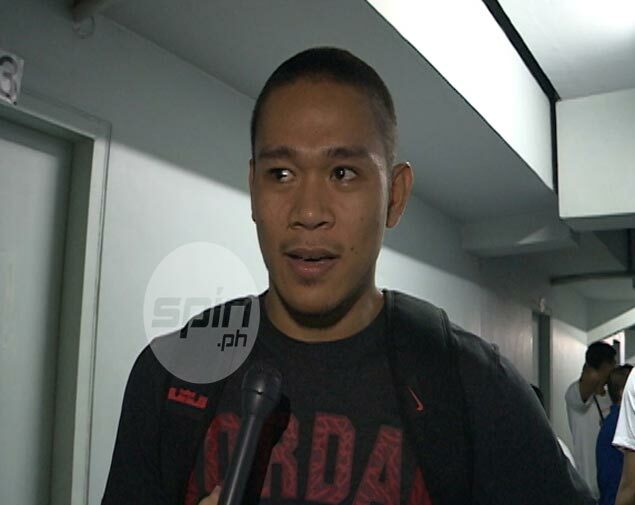 When reached by Spin.ph, Chua bared he, too, is still trying to get in touch with the 27-year old former Gilas cadet. "Ilang linggo na naming hinahanap at kinokontak pero wala pa rin. Nagpalit siya ng number, unallocated na yung dati niyang binigay sa akin," said Chua. "Actually, pinapahanap ko na rin siya kay coach Allan (Trinidad) dahil hinahanap na nga ng Purefoods (Star) management. Di ko na rin alam kung saan ko hahanapin eh," he added. Chua revealed his last meeting with Pascual happened on December 24. "Galing pa siya ng practice nun. Nagpakita pa sa akin, sabi nga nya may injury siya at masama daw pakiramdam. After nun, hindi na siya tumawag sa akin. Lately ko lang nalaman na hindi pala uma-attend ng practice," he said. Asked if Pascual ever mentioned any problem, Chua shook his head. "Wala namang sinabi tungkol sa playing time niya. Kasi pag ganun, pagsasabihan ko rin yun na, 'Diskarte ng coach yan.' Mabait naman na bata 'yun. Hindi naman reklamador," he said.